Mermaid Celebrity Look Alike, Lookalike Impersonator. A great addition to your event……pose for pictures. Great costume. Would be wonderful for all of your Beach Party events or any events you are planning. A Mermaid Lookalike Impersonator is always a Hit! 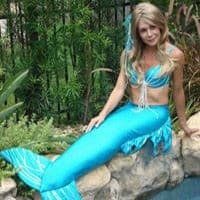 A Mermaid Lookalike Impersonator will make a big splash at all of your parties and special events, holiday parties, corporate events, weddings, anniversary’s, beach parties, tropical parties, casinos, all of your special events that you want to create a a lasting and wonderful memory. Makes a wonderful addition to your beach party or any party you are planning…..She can sit around your pool or even on a table as a living decoration. WOW, what a living decoration to enhance your event. 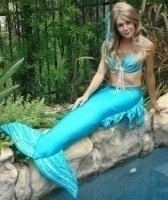 Call Besser Entertainment at 954-484-7884 today to book a Mermaid Look alike Impersonator. Available locally, nationally, and internationally. Fun Facts: A mermaid is a legendary aquatic creature with the upper body of a female human and the tail of a fish. Mermaids appear in the folklore of many cultures worldwide, including the Near East, Europe, Africa and Asia. The first stories appeared in ancient Assyria, in which the goddess Atargatis transformed herself into a mermaid.